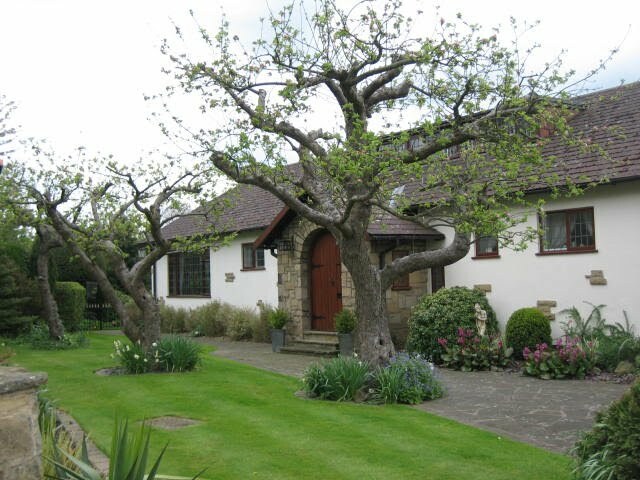 Eco Garden Maintenance are qualified and experienced at providing tree felling, pruning and surgery for private and commercial clients in the Leeds, York, Selby, Wetherby and Tadcaster areas. Trees which are planted in gardens come in all shapes and sizes. Some will have been chosen carefully to suit the location and size of plot, but many are doomed to a life of regular hard pruning. In our opinion trees always look best and most natural when left to grow without intervention. Trees are not all the same, they respond differently to pruning and so require different pruning techniques to get the best results. Usually work is done to a tree when the owner decides it is too big or will be too big if left to grow. The amount of shade cast by a tree is often the reason why it is deemed to be too big. In this case most deciduous trees would have their crown reduced and/or thinned. In some cases crown lifting can be a useful exercise especially if access is needed under the canopy or the tree is situated in a border. Sometimes there is no other option but to fell a tree completely. Most conifers do not respond well to hard pruning and so complete removal is often required. Dead and diseased trees usually require felling to remove the safety risk and prevent diseases from spreading to healthy specimens. It is not often that a garden tree can be safely felled in one go, in most cases they need to be dismantled piece by piece. Coppicing and pollarding are other techniques often used in the managemant of trees. Coppicing involves cutting the tree down to ground level every few years in order to produce lots of young fresh stems. Pollarding essentially is the same but a length of trunk is left so the new stems are produced higher from the ground. Whatever result is required, Eco Garden Maintenance has the skill and knowledge to produce an attractive appearance whilst being sympathetic to the tree itself. All procedures are carried out safely with complete respect for wildlife and the rest of your garden. 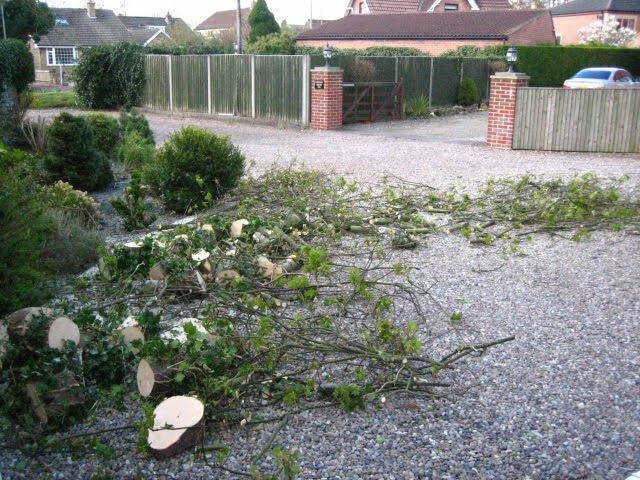 The waste which is produced from tree works can be considerable and is usually too much for a home owner to deal with. Eco garden Maintenance can shred the material for your own use or can remove it from the site altogether. For more information and to arrange a free no obligation quote please contact Eco Garden Maintenance.